Mary was faced with the impossible and realised what what was being proposed was beyond her. But the angel assured her: "The Holy Spirit will come upon you". That is what makes the difference. Experience the transforming power of the Holy Spirit who enables us to say "Yes Lord, your will be done!" through the amazing journey of Summer School 2019. This Scripture text has been chosen for World Youth Day to be held in Panama in January 2019. Coinciding with dates of Summer School here in Australia, it is appropriate for us to be joined in spirit with the Papal world pilgrimage for youth. The theme will help us to focus on the need for a personal surrender to the Lord's will in our lives. We can also connect this to the whole history in the Scriptures of men and women responding with to the Lord's call with "Here I am; I come to do your will". "We can only learn to know ourselves and do what we can - namely, surrender our will and fulfill God's will in us." For over 30 years Summer School has been serving the needs of young people around Australia and beyond. Come to a Summer School and walk the journey with us. Let God lead you along the special path he has planned for your life. The Summer School of Evangelisation has a central purpose – the unique encounter between each person and the Living God whose great love and mercy has overflowed for all humanity from the dawn of creation. Through the resurrection of Jesus and the gift of the Holy Spirit, we are “made alive” (1 Corinthians 15:22). It is in this new life that we are able to live life to the full. Journey with other Catholics for the week, forming a unique faith community, bonded by a common vision to seek God in the Summer of School of Evangelisation. Share and support each other through allocated small group time each day with those of similar ages. Build new friendships and discover the vibrant youth and young adults in our Catholic Church. Presentations & lectures are given by those with formal theological training and/or extensive personal experience of faith and Christian Community. Lectures topics include Scripture, Catholic teaching, Evangelisation, Living as a Disciple, and Prayer. Seminars offer a practical opportunity to experience, participate in, and question, issues, methods, and vision for evangelisation in areas such as: Prayer, Discernment, Healing, Gifts of the Holy Spirit, Intercession and Faith in Action. There are many opportunities for communal and personal prayer, including Charismatic praise and worship and Mass. The Summer Schools of Evangelisation run by the Disciples of Jesus Community are truly amazing experiences to be a part of. They engage, uplift and equip people to 'make disciples of all nations'. They've certainly helped me to know, worship and love God. I highly recommend them. I only went to one and it changed my life. Before SSE my faith was almost irrelevant to me... But good people, great fun, and some serious moments of encounter with God changed my whole perspective and suddenly Jesus was part of my life again... and the best part of my life. All thanks to the SSE experience. Summer schools are my favouite way to start off the year! It's a whole week to hang out with incredible people, make new friends, eat delicious food and learn more about God and grow in your faith! I've been to 8 now and each one always seems to be completely different I would recommend it to anyone the week will change your life! One of the great things about Summer School is that the mix of formation, prayer, Sacraments and sense of community allows for an amazing retreat experience unlike any other. There is a sense of purpose to each and every day and I know that I come out the other side changed for the better. I highly recommmend SSE! The School is run by the Disciples of Jesus Covenant Community, a group of people who together attempt to live the Christian life under the grace of renewal of the “Baptism of the Holy Spirit” (Acts 1:5,8). The Disciples of Jesus is a Catholic Community with branches throughout Australia, Papua New Guinea, The Philippines and Indonesia. It is comprised of families, single people, priests and consecrated men and women.  The Disciples of Jesus Commuinty is a member of the Catholic Fraternity of Covenant Communities whose statutes were recognized by the Pontifical Council for the Laity in Rome in 1993. The Community is approved as a Private Association of Christ’s Faithful within the Catholic Church. The School of Evangelisation comes under the direction of Fr Ken Barker, a member of the Disciples of Jesus Covenant Community and the Missionaries of God’s Love.